Property Highlights: Newly Remodeled. Walk to Chabad, town and trolley service. Walled compound. 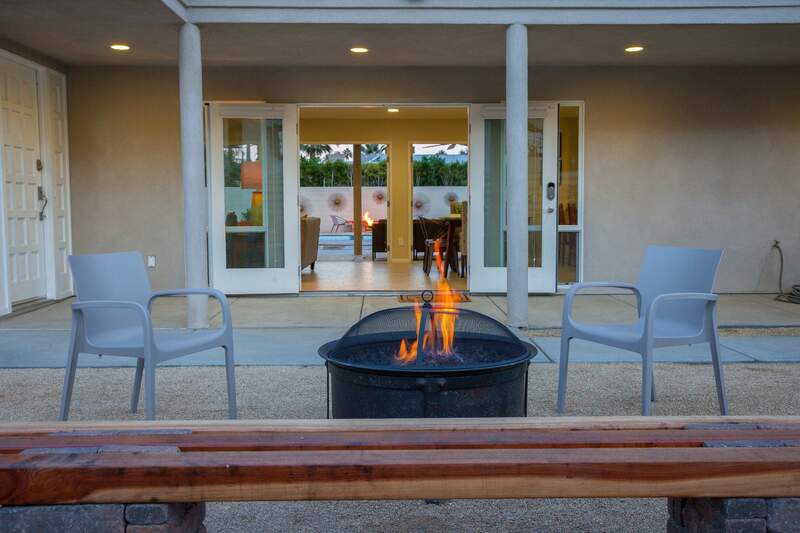 Heated pool, spa, 2 firepits, covered outdoor livingroom. 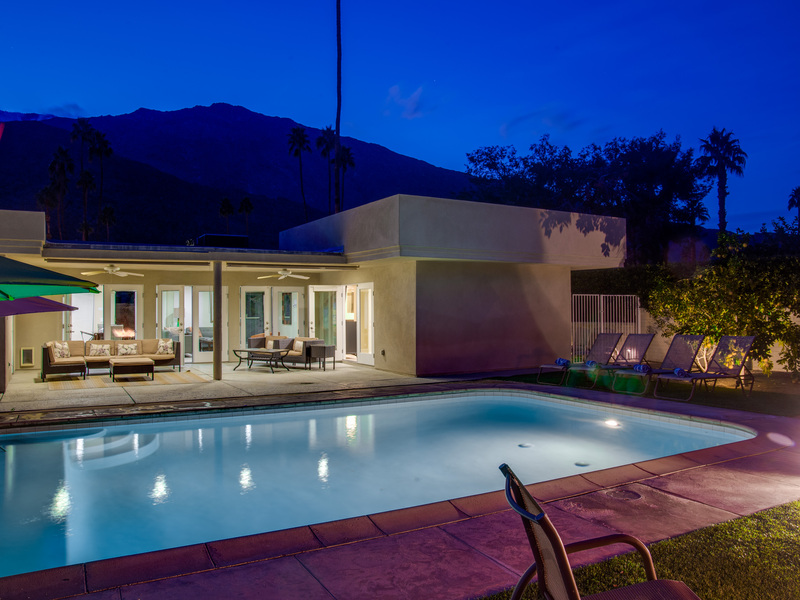 Newly Remodeled midcentury home just steps from the world famous Palm Canyon Drive. Easy walk to town and the Chabad. Completely walled and gated for privacy. This family compound is all about relaxing in the sunshine. Large enclosed front and rear yards. 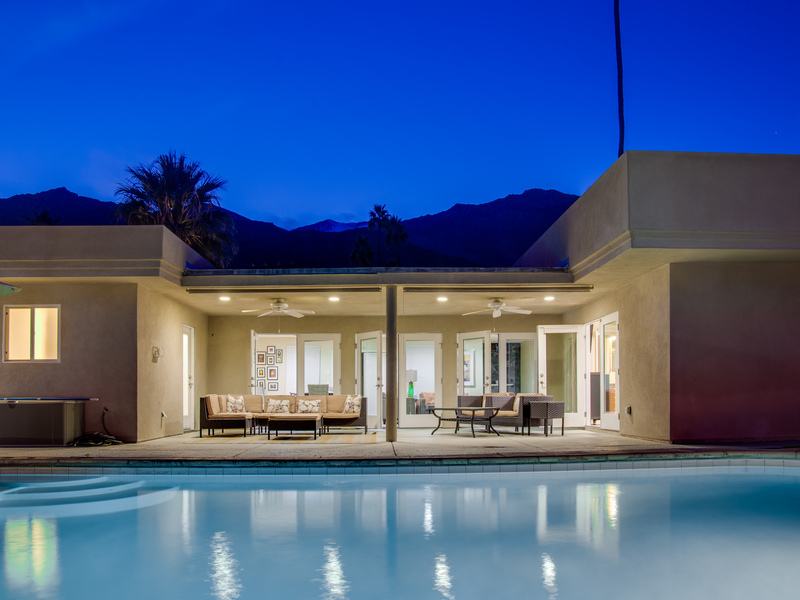 Heated pool, spa, 2 fire features, covered outdoor living room, outdoor shower, mountain views. 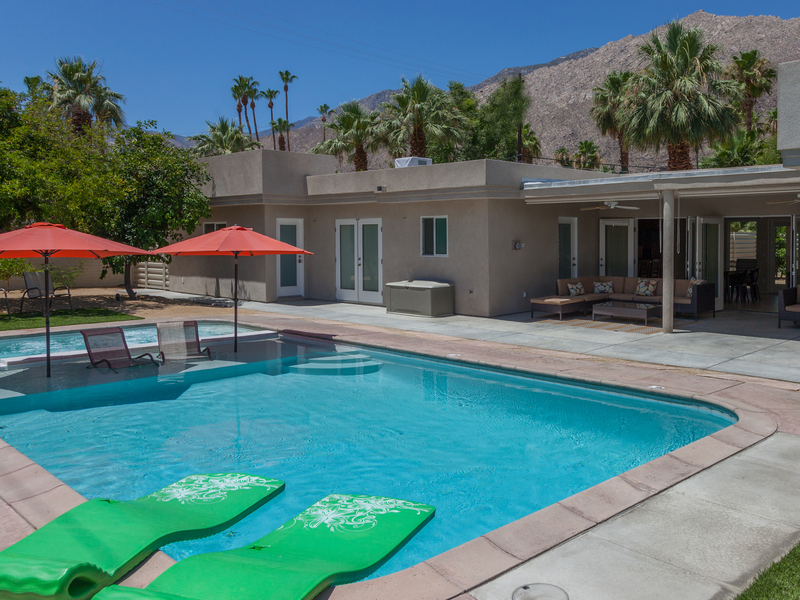 This Palm Springs property (circa 1951) has been completely remodeled and re-imagined for vacation living today. 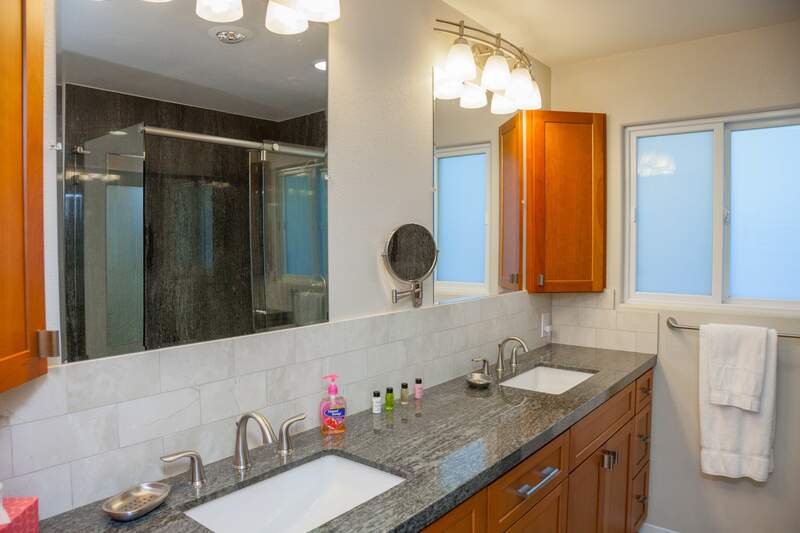 Everything is new including the kitchen, baths, windows, doors, electrical, plumbing, heat and air conditioning. 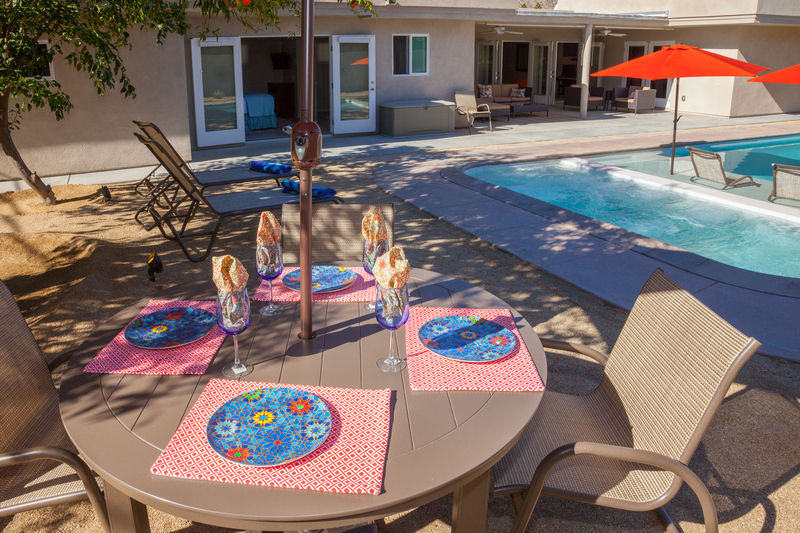 Boo Boo's Hideaway is not just a beautiful home - it is a professionally designed, well-planned paradise that captures the easy, relaxed Southern California vibe. The home owners thought of everything when creating this very private, completely walled vacation compound. Spacious open concept floor plan! Two amazing outdoor living spaces! Two fire pits! Fruit trees! Four flat screen televisions, two king-sized beds plus a queen! Breathtaking mountain views! A gorgeous over-sized pool with a fabulous shallow tanning deck that is great for catching some rays or use as a child's wading area. 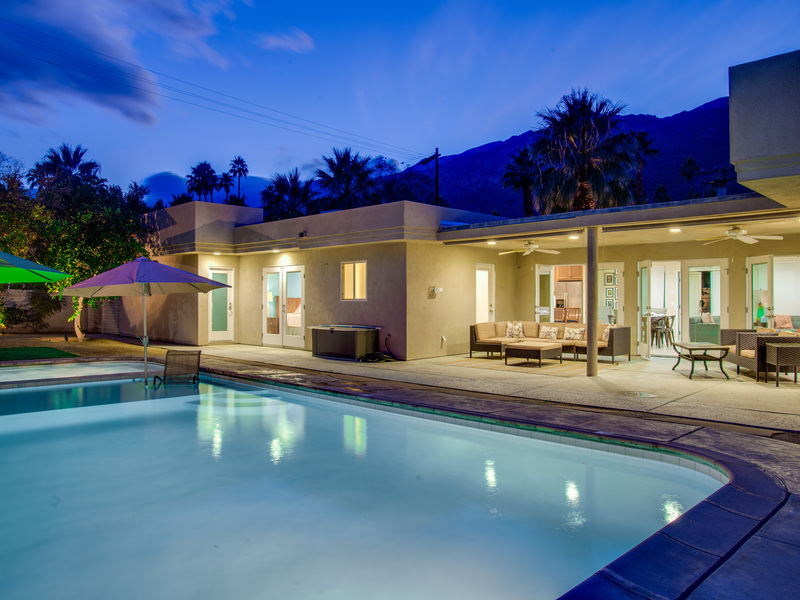 All just a stone's throw from the heart of Palm Springs and the famous Palm Canyon Drive. 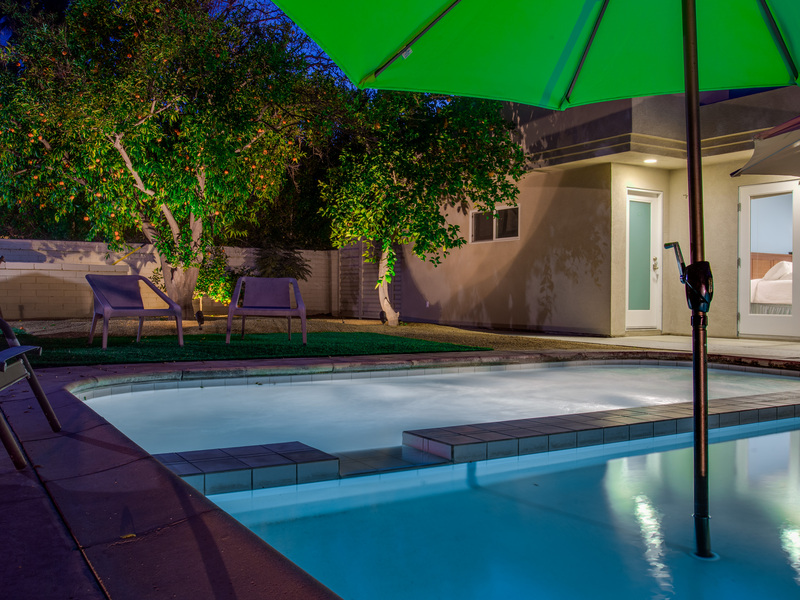 Nestled on a quiet residential street in the heart of Tahquitz River Estates, Boo Boo's Hideaway has one of the best locations in town. 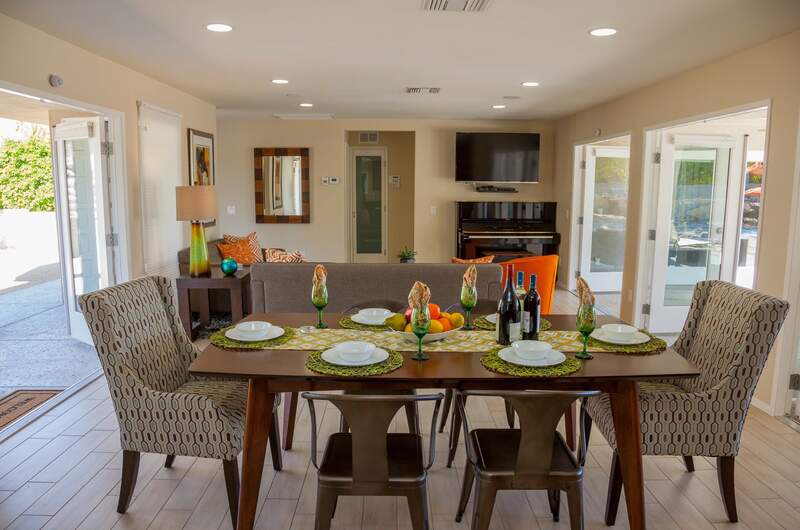 You'll be in walking distance to the South Palm Springs business district with it's fine restaurants and night spots, art galleries and boutiques. There are coffee spots, sandwich shops, burger joints, grocery stores and live entertainment venues just a few blocks away. 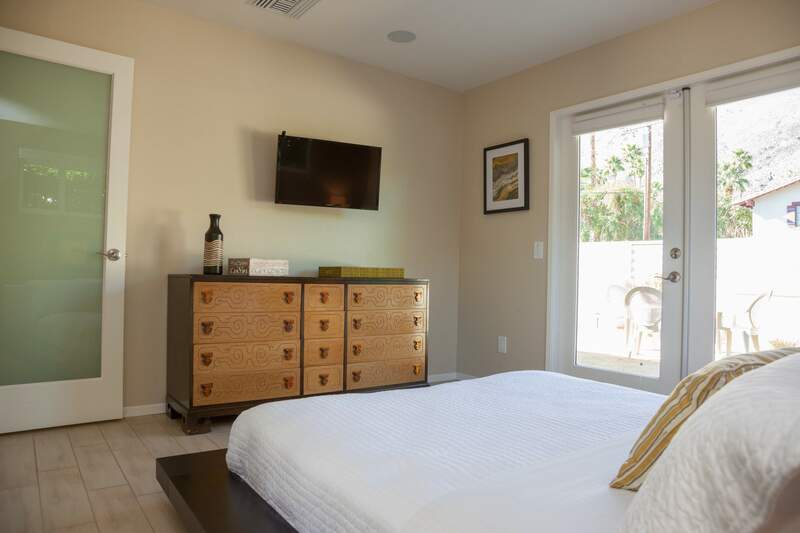 Each bedroom has a flat screen television, hotel-quality mattress, ample storage and beautiful french doors that offer direct access to the outdoors. The master and one of the guest suites have king-sized beds. The third guest room has a queen-sized bed. 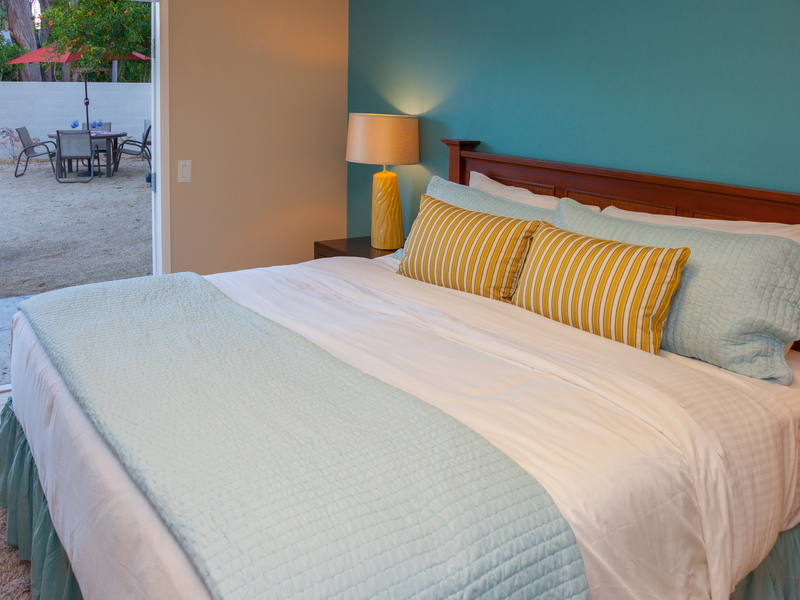 Each bedroom is comfortable, spacious and has its very own chic flavor. 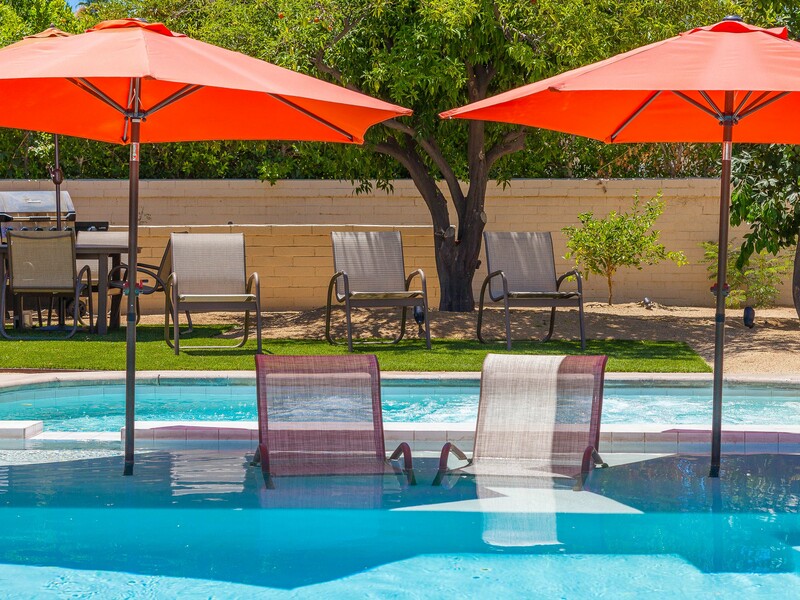 This bright and fun desert property has been space planned for holiday hanging with your entire group as well as private moments alone for curling up with a good book or just enjoying some quiet downtime. 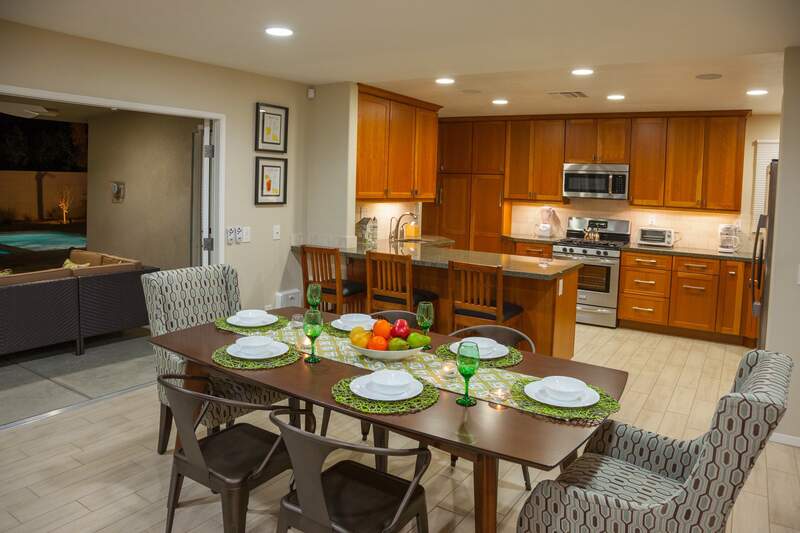 The spacious great room's open floor plan offers a new kitchen with quartz counter tops and stainless steel appliances. 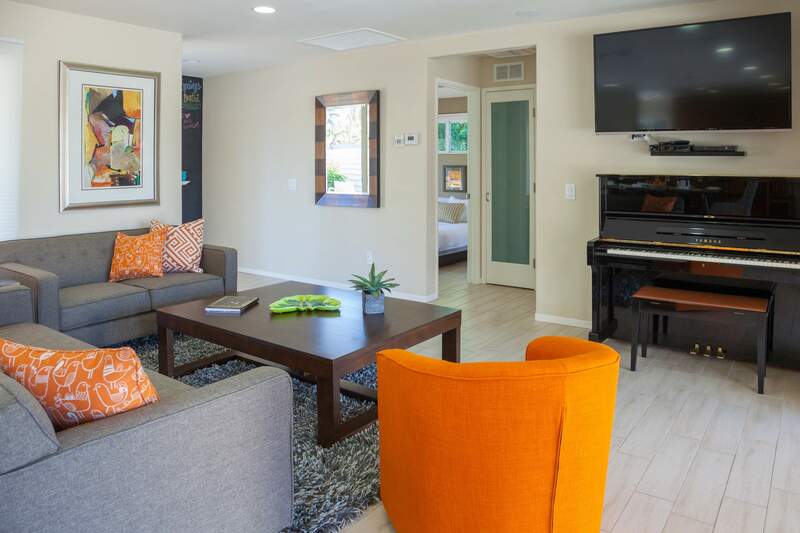 There is interior dining for six guests, and a lounge area with a piano and plenty of comfortable seating for watching a movie on the flat screen television. 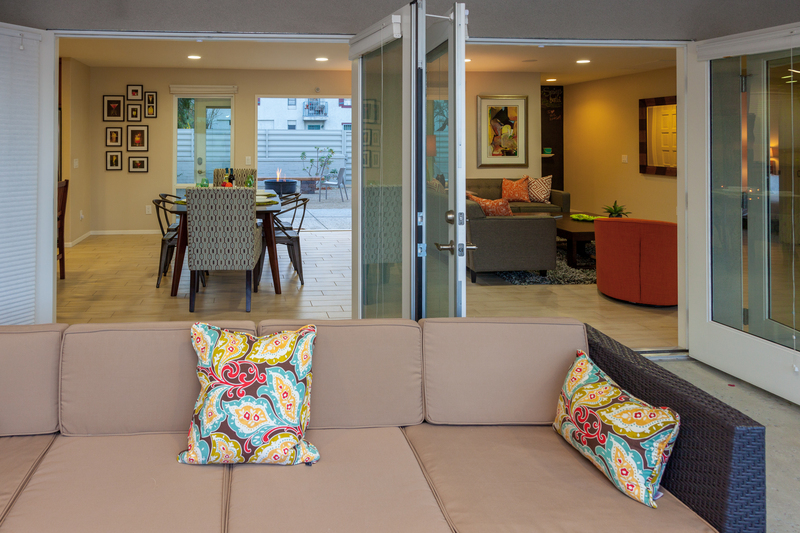 The entire front and back of the great room features walls of glass - blurring the lines between indoor and outdoor living in true Palm Springs style. 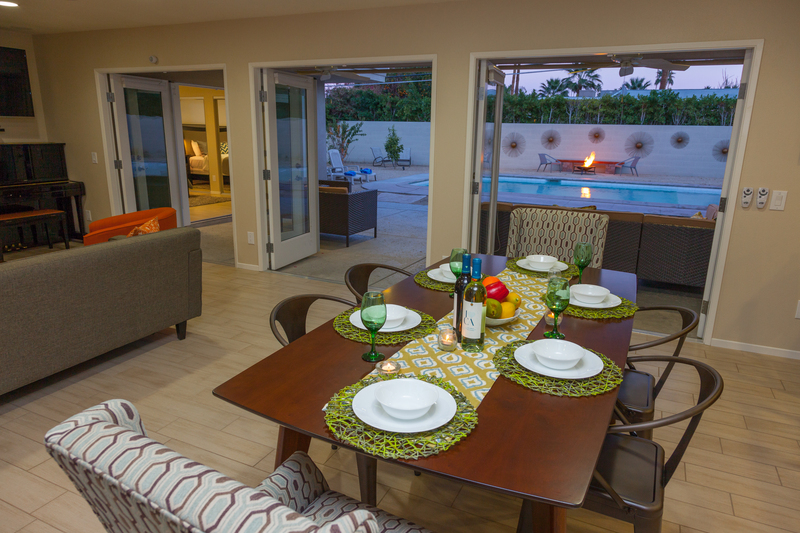 The front courtyard, has a breakfast table and a firepit. The mountain views from this courtyard are amazing. 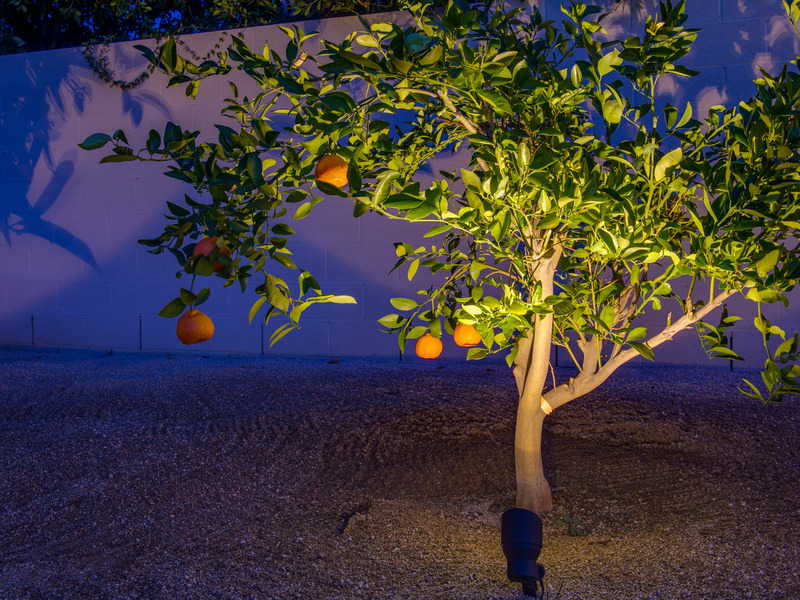 The very private back yard has a wide variety of fruit trees, a covered outdoor living room, six poolside lounge chairs, a barbecue and dining area that seats six, an outdoor shower, a fire pit, and an over-sized heated saltwater pool with a tanning deck and integrated spa. 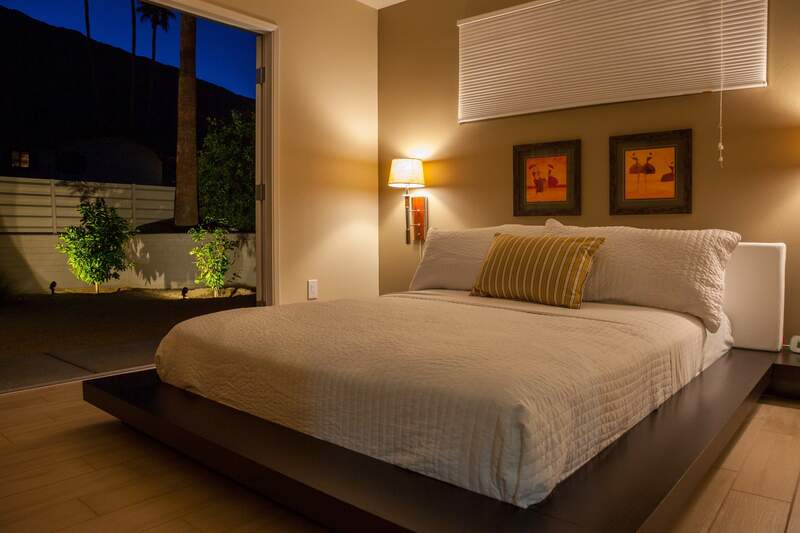 The entire property has been landscaped in natural desert fashion and offers both sun drenched and shaded areas. Perfect for poolside afternoons, dining al fresco and long evenings under the stars. Be sure to leave time for a late night spa beneath the magical desert skies. This home is well-suited for extended weekends, week and month long stays, and as a seasonal rental. The property is perfect for families, small groups, two to three couples, girls' weekends, guys' getaways, and reunions with dear friends. Advanced bookings strongly recommended. "This was our third time using Acme and we've never been disappointed. The house was clean and had a great layout for our family. It was in a quiet neighbourhood and a convenient location. The pool and hot tub were really the highlight for us. It has a great shelf area to lounge in (with umbrellas)- which was perfect for our toddler. " 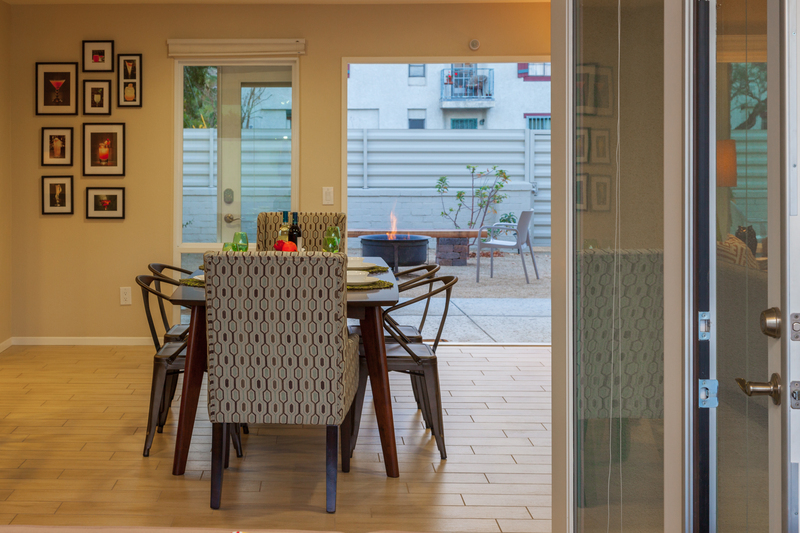 "This was our 3rd time staying in an Acme home and we're never been disappointed. The house was clean, the beds were comfortable, and it had a great layout for our family. It was in a quiet neighborhood and convenient location. The pool was a big hit and the pool shelf was great for our toddler. We would absolutely come back and recommend it to friends." "We rented the house for the whole month of June. Last year we stayed for 1 week in June and loved the house. This year we loved the house again as well as the city of Palm Springs. The house has the best pool. 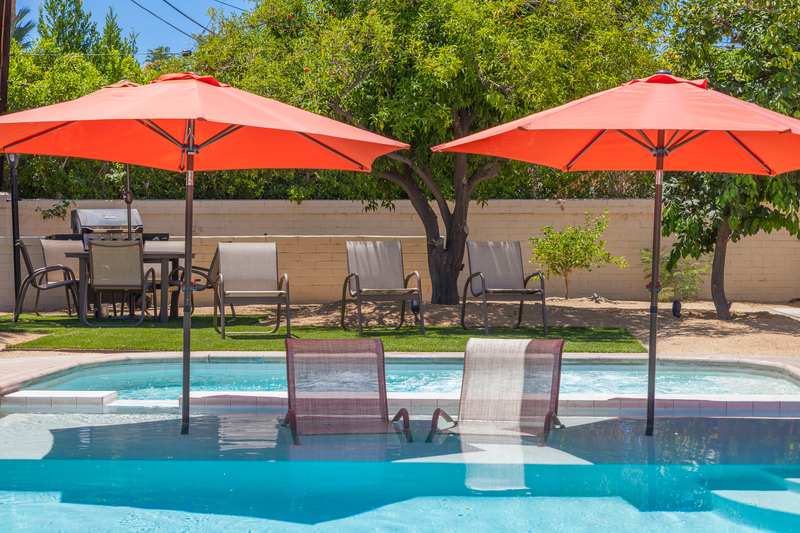 We really like the two umbrellas in the pool that we can sit under and read in the shade." 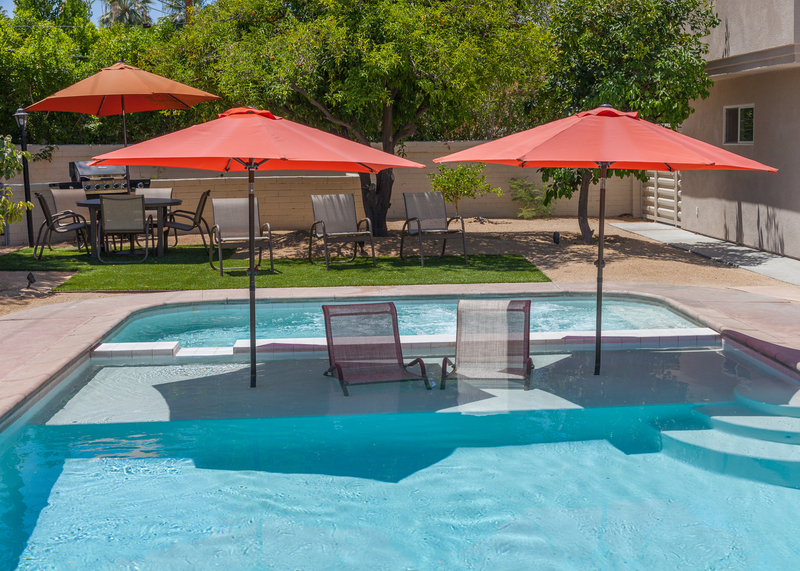 "I rented this house because of the chairs/umbrellas in the pool. It got up to 117 during our stay and we spent most of the day in the pool. The house was cool and comfortable. Very clean. Beds were comfy. Our concierge, Michelle was fantastic. 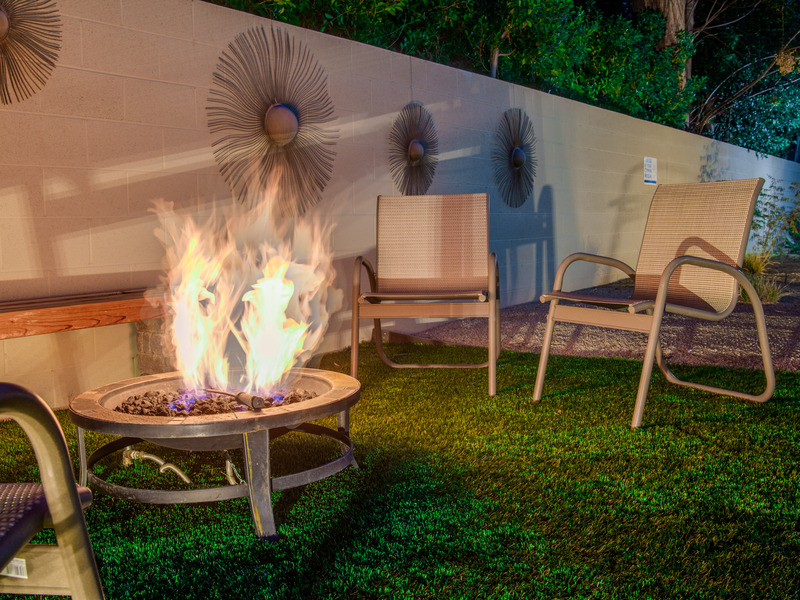 One thing to note is that grass in the backyard is fake. Not a huge deal but be warned that in 100 degree weather, it will be hotter than the concrete, so keep your pets and kids off it. 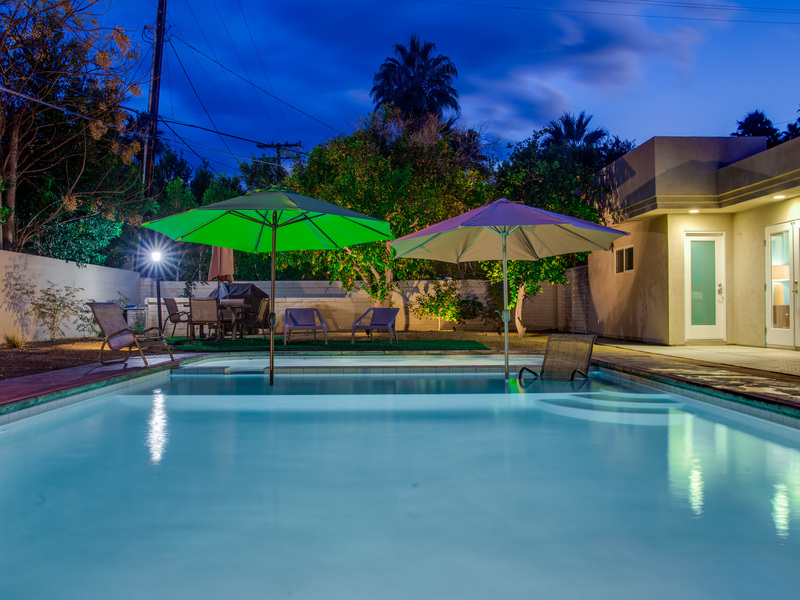 I was very satisfied with the house and hope to rent it again in the future"
"We have only used ACME House Co. for our Palm Springs stays. This was our 3rd time visiting the area! Excellent style, comfort, and cleanliness. An overall excellent stay! Thank you!" "Excellent arrival to this rental property. Very good style, comfort, and cleanliness. A very good overall stay and experience!" 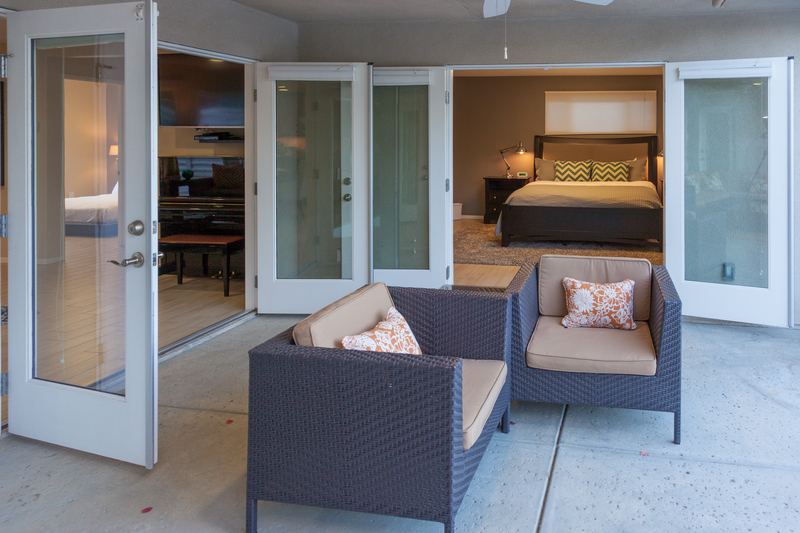 Feels like a resort, but offers the comforts of home! 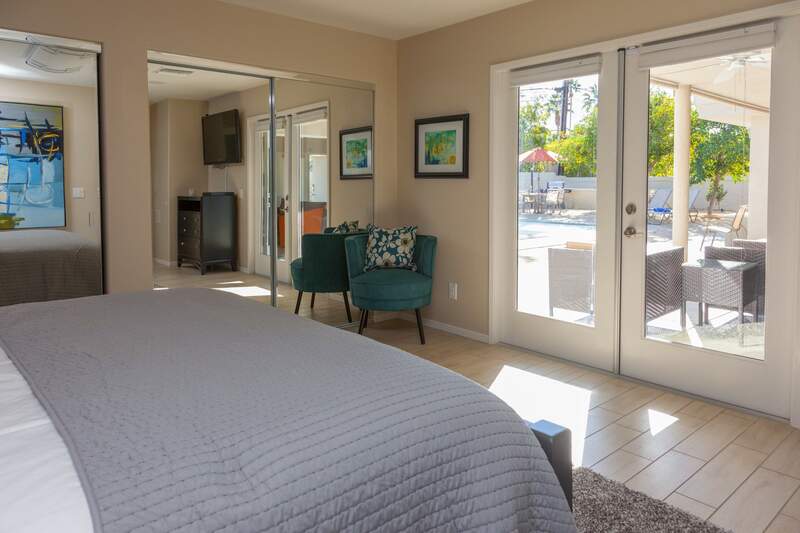 "The house is close to the grocery store, and a short walking distance to downtown Palm Springs. It is located in a nice, quiet neighborhood. Enjoyed the resort like feeling of the house." "We have stayed in a lot of vacation rentals over the years. This was our best experience yet! The Acme team was so helpful and their process was so easy. Boo Boos Hideaway was everything friends told me it would be! Quite a few of our friends have stayed here and highly recommended to us. They were so right! Clean. Comfortable. Very private. Great in town location." Excellent all around stay and property! 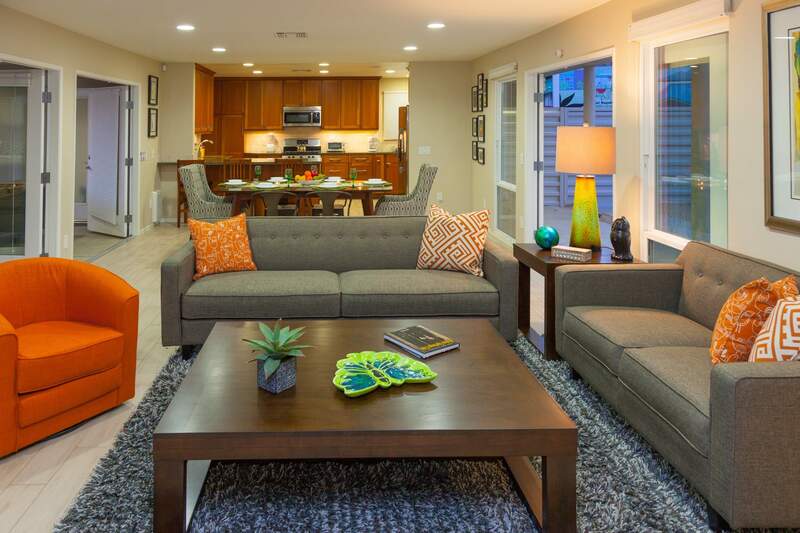 "The house had everything we needed, and we really appreciated the cleanliness of the house! The price was right, too! " "The app streamlined everything making checking in and out super easy. The house was comfortable and perfect for a family, and is in a great location, close to great restaurants. 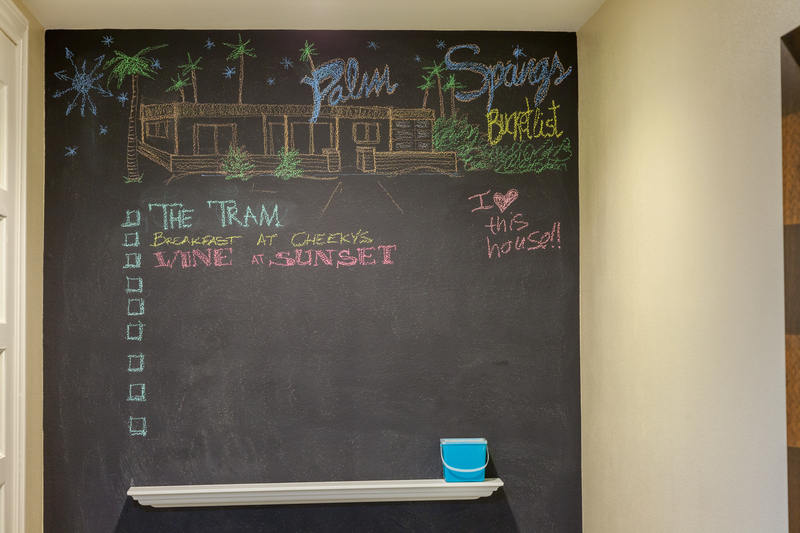 The kids LOVED how the house was designed and loved all the features like the pool, outdoor shower and chalkboard wall. The biggest and best surprise was water in the fridge! It's a small detail, but such an important one. I've been staying in a lot of hotels recently, and only 1 provided water free of charge. Thank you!" "This property is so great for families! We had an amazing time in the comfortable home. Our only complaint was that we couldn't stay longer. 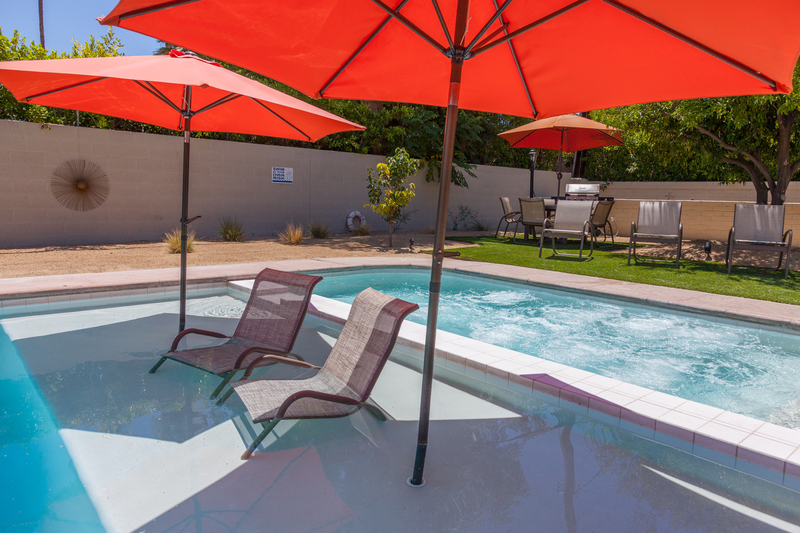 From the simple, classy decor to the gorgeous pool/spa combo, we loved every minute at Boo Boo's Hideaway! " 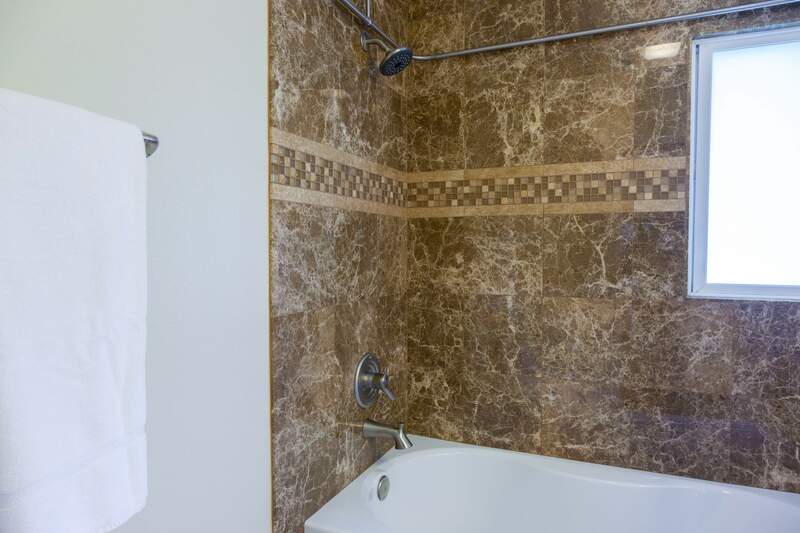 "Excellent comfort, style, and cleanliness! " "Very successful trip, and the service was fast, and to our standards! The home was what we wanted. The best part was the pool! " "Boo Boo's Hideaway was so comfortable and convenient. We stayed there with 4 adults, and a 2 year old, who spent the entire time in the pool! The pool had a shallow splash pad which was perfect for sunbathing, staying cool, and playing for the little one. The house was well equipped and had an easy lay out. The bedding was fabulous and extremely cozy. Definitely recommend this house to everyone, and we are looking forward to staying there again soon! " 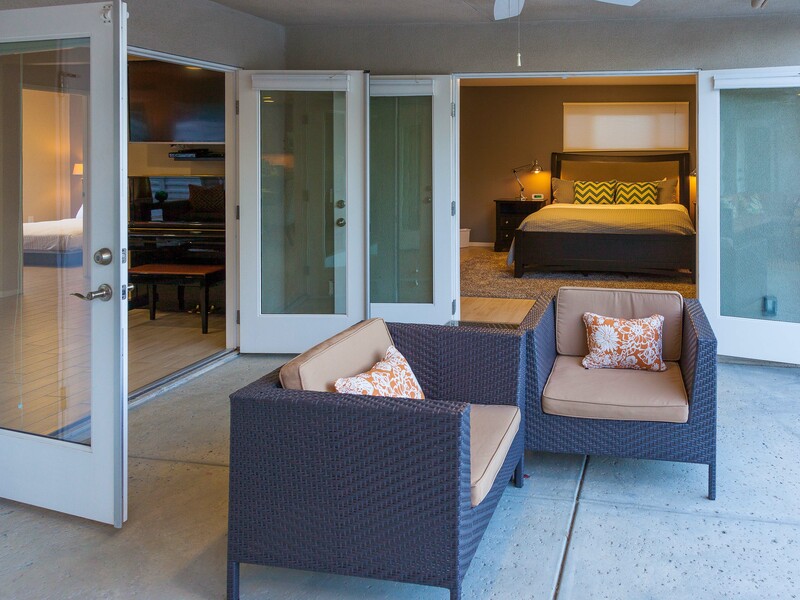 "We rented this house before, and were just as pleased with our stay this time around! Our favorite part is the outdoor area, and how very quiet it is! We might suggest some extra towels for our next stay!" Manager Response: Thanks for the feedback Anson. We wish you had let us know about needing more towels. We would have brought them right over to you. "You guys are very professional and have a great, friendly staff. Anytime there is an issue you had someone contact us within 10 minutes. The houses are always stocked with basics and very clean. We rented the Atomic Ranch last year and had our first experience with your company and were so impressed we wanted to try another rental of yours. We plan on coming back again next year for sure. You make it so easy contractually to book and your app is super friendly, easy and helpful. Also your emergency staff, was great when we couldn't get in because my code didn't work. Frank got me a temporary and then checked back with us the next morning. My code still never worked so we used the temporary the entire time and it never failed us. Great staff!! It was really nice to see a bottle of wine on the kitchen counter when we checked in. It was our anniversary week away so it was an extra nice surprise. No surprise was the pool and we loved it! Overall everything was wonderful and I think we ended up liking this property a little better than the Atomic Ranch, but it was close. " "We loved everything about this place. Backyard was very private. Pool is huge. Two spas. Super clean and well maintained. Great location so close to town." Good all the way around! "I experienced a great, easy reservation process, and found ACME House Co. very responsive to requests and to anything we needed. Great pool area. Good, clean kitchen. Comfortable bedrooms. Overall a very good stay!" "Boo Boo's Hideaway was great. The only thing I'd mention is there is a sound system in the house, but it's not hooked up. Be sure to bring your own music player / jambox if you want to listen to tunes by the pool. Otherwise the property was great, and would definitely recommend. " Manager Response: Thanks for the feedback Sean. Glad you enjoyed your stay. The City of Palm Springs has an ordinance that does not allow amplified sound outdoors at vacation home rentals. That's not our rule - it is a City-wide decision.That is why the outdoor sound system was not connected. Honestly, One of the Best Vacations We've Had! "Boo Boo's Hideaway was absolutely amazing. It was the perfect home to relax & enjoy the company of friends. We all brought so many clothes for going out when in reality this house gave us everything we needed, and we didn't go out once. 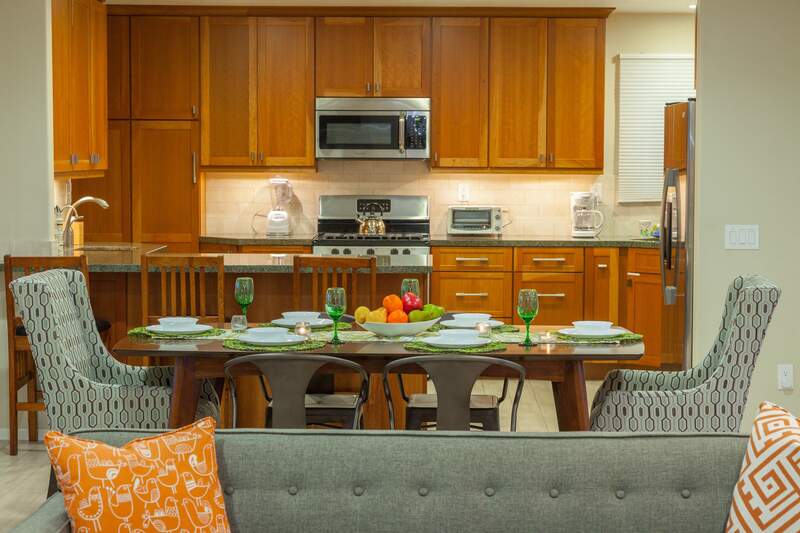 We needed a wheelchair accessible home, and the layout of the home was perfect & incredibly accessible. We enjoyed the pool & loved that Boo Boo's had a reef step. We made wonderful memories in this gorgeous home. and we were also sad to leave! Can't wait to come back again! " Manager Response: Thank you Tiffany. We shared your feedback with our entire team and the owners of Boo Boo's Hideaway. It really is a great property and it makes us very happy to know that our guests feel the same way! Please come back soon and don't forget to use your Past Guest Discount Code when you reserve again. "Easy, easy, easy! All needs were thought of, and met! Very good style and comfort! " "Everything is spelled out clearly as far as directions and expectations as a renter. The house information booklet is extremely helpful, and the properties are maintained extremely well. The staff is great to work with. This is my 3rd year renting with Acme, and this has been my favorite house in the last 3 years. 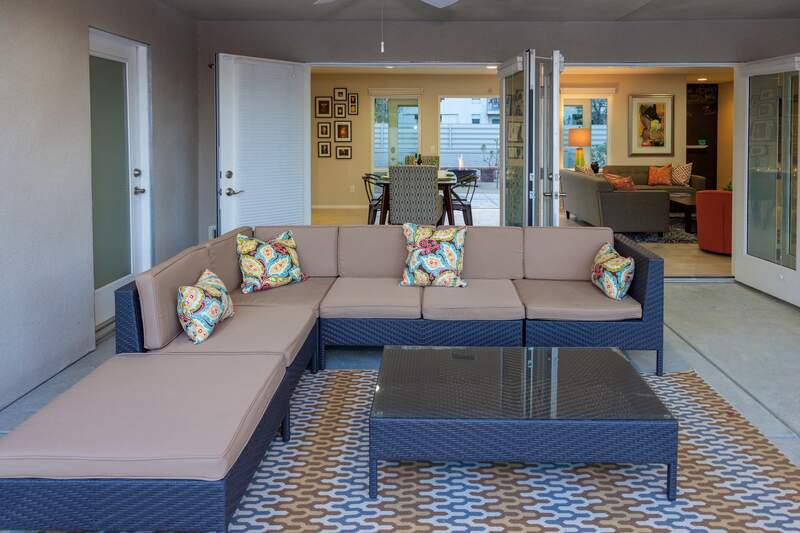 I especially enjoyed the outdoor living space, and I liked the proximity to downtown. It was perfect, and met all of my expectations. " 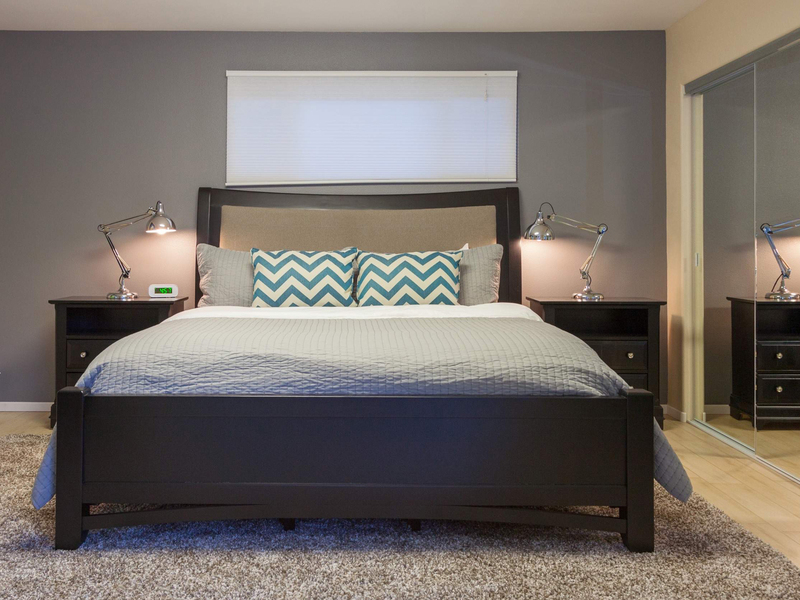 "It was the first time we rented a house with ACME House Co., and we loved it! ACME was great to work with, and they answered all our questions promptly. We loved the pool and the outdoor space and spent the majority of our time outside. We were really pleased with Boo Boo's Hideaway!" "We enjoyed our time here. The house was clean, well cared for and had a very cool layout. The entire property is walled for privacy so we were able to keep all the doors open at night so the front yard, back yard and inside all ran together. It seemed so huge. 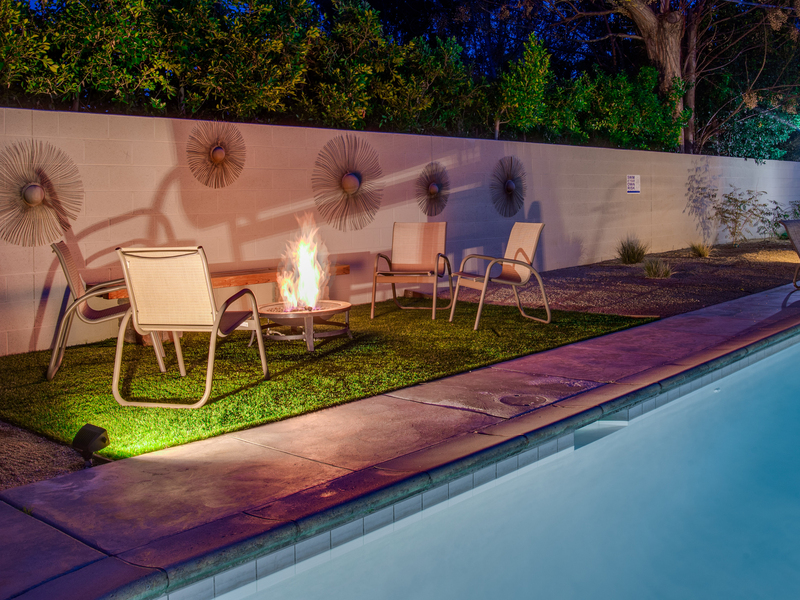 Very pretty that both the front and back yards have firepits and hot tubs. We had a great time in this very nice house. It was perfect for three couples. We are looking forward to coming back for another visit." "Loved that everything in this house was new and clean. Very private property in a great location. We walked to restaurants and the free trolley service was like 300 feet from our door so we hardly even had to use the car. It was so cool that the Hacienda Beach Club was right down the block. 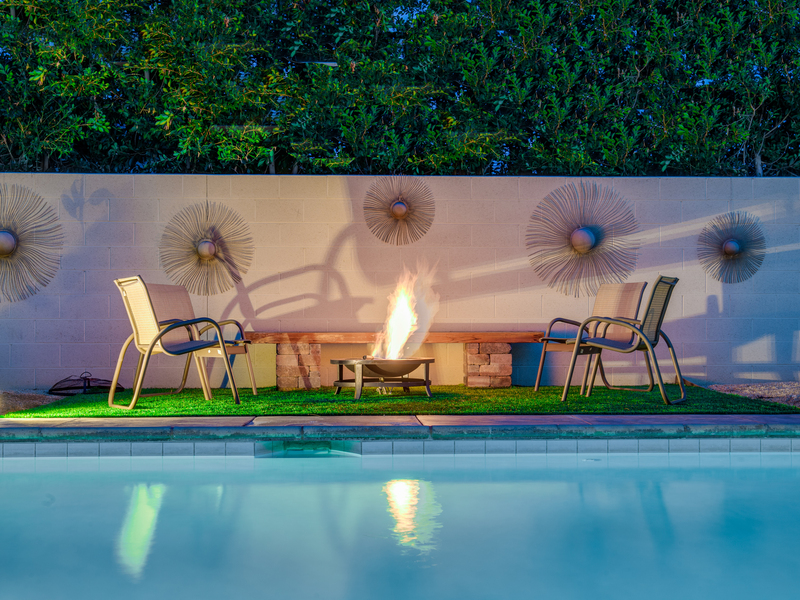 Best parts for us were the pool, the firepits (there were two) and the outdoor living room. The beds were comfortable. The whole trip was simply perfect." "Clean, comfortable and very nice. The house was great. But for us it was the location. We loved that it was a two minute walk to the free trolley that took us all over town. We were also in walking distance to a few really good restaurants. Thanks to the homeowners for being dog friendly. That was an extra perk that we really appreciated." "An overall excellent experience from making my reservations to my stay at Boo Boo's Hideaway! Style, cleanliness and comfort were all excellent. Would recommend to friends!" 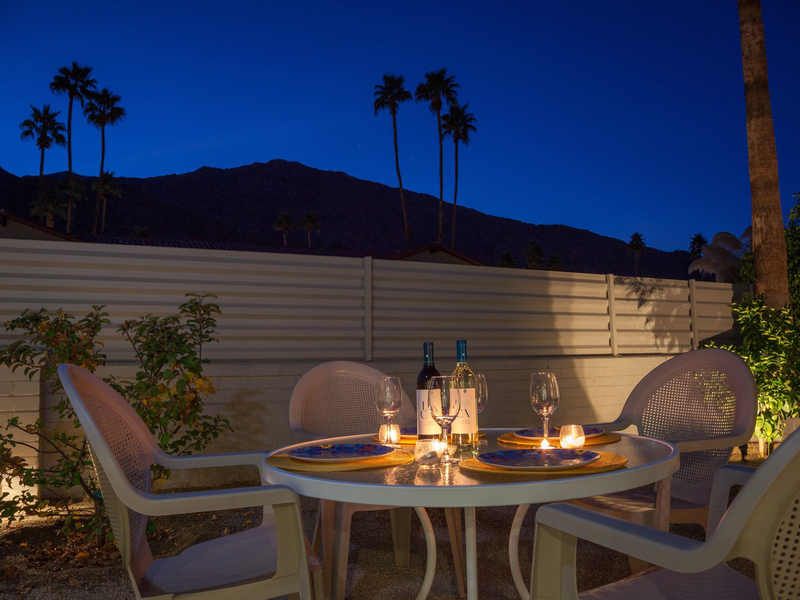 "Hubby and I took four teenage boys to Palm Springs for a long weekend. This was our first time renting a vacation home. We never left the house! The pool and back yard were amazing plus the front yard - also had a firepit and spa. The boys felt they were living in the lap of luxury among the rich and famous. The place was clean, well thought out and very comfortable. So much better for our group than a hotel - and way cheaper. " "No surprises. Everything about this property was as advertised - even better. Comfortable beds. Great lay out. Clean, well-maintained, and very welcoming. We really did feel like we were guests in someone's very nice home. Thanks to the owners for creating such a great space and for sharing it with us. We have rented vacation homes before - this was by far our best experience yet." "We had a really nice time staying at this very cool house. Very clean and comfortable. So close to the free Trolley so it was easy to get all over town without getting in the car. Enjoyed both the front and back yards. We were surprised to find the house had a fire pit and a hot tub in each of the yards. 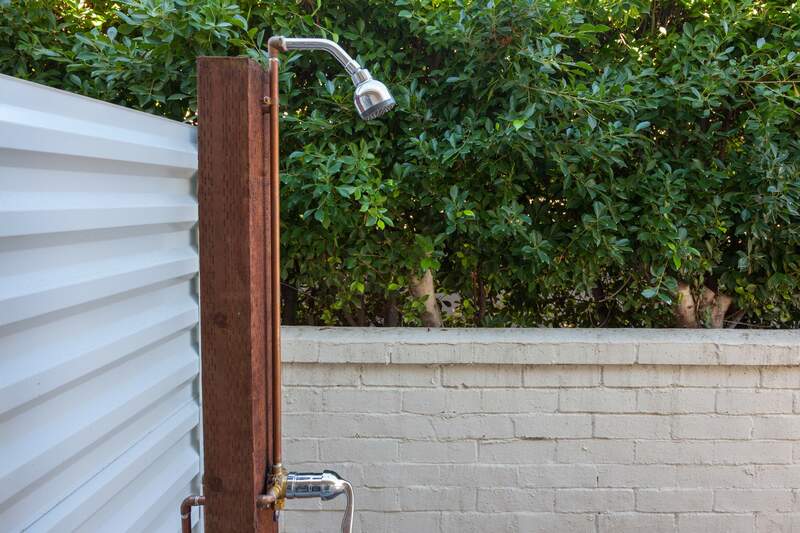 Lots of space for everyone and my favorite part was the outdoor shower." Wonderful after a long, cold northern winter! "Acme house Co. anticipated our every need. Pool and outside areas were wonderful after a long, cold northern winter. Thanks for the recommendation for the caterer who shopped for our arrival, as well as provided lovely entrees. " "Loved our time at Boo Boo's Hideaway. Comfortable, very clean, great layout. Long days in the pool. Evenings in the hot tub (there are two) and late nights around the firepit (again there are two).Great location. Five minute walk to the free Palm Springs Trolley that took us all over town. We highly recommend this house.And we will be back!" Excellent style, comfort and cleanliness! "Acme House Co. is professional to work with. Pool area was the best part with super umbrellas and pool floats. Overall great! Nice touch having a guestbook!"